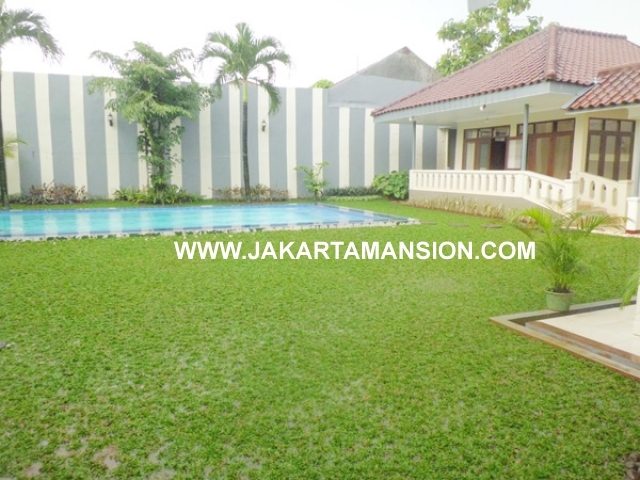 House for rent at kemang with Living room, 4 bedrooms and 4 bathrooms, Kitchen, nice Swimming pool, garage 5 cars, maid room, warehouse, unfurnished Situated in most convenient zone in Kemang area. Close to cafe, mall (hero supermarket ) (Ranch market), Kemang raya, school (International school Newzeland and Australian), hospital, apartment, entertainment venues. Copyright©2019. Alright Reserved. Designed By JakartaMansion. For biggest image top of the site taken at google.